Ever been socially ostracized for wearing an Apple Watch band that doesn’t match the color of your sneakers, or is way too bright for the time of day you’re rocking it? Such nightmarish scenarios are set to come to an end this June, courtesy of Apple and Nike’s latest collaboration. 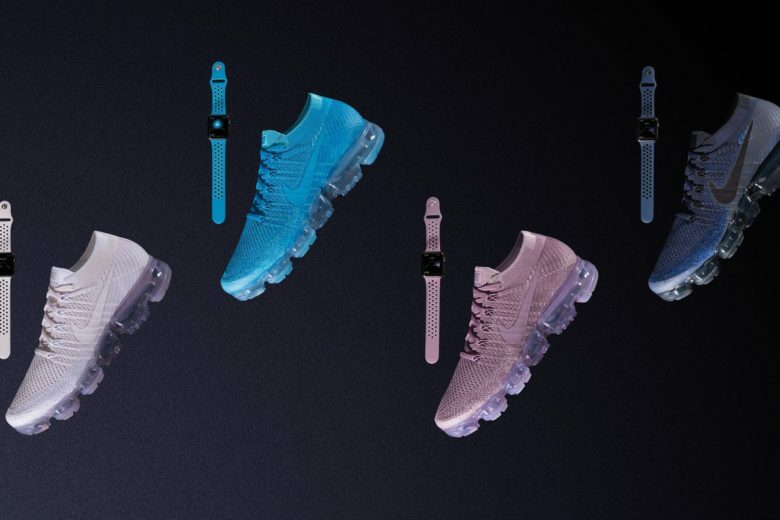 Announced today, Nike is releasing four new chic Nike Sports Bands for Apple Watch, coming in colors matching the Nike Air VaporMax Flyknit “Day to Night” collection. Described as the “Day to Night” collection, the new Apple Watch Sport band colors are inspired by different shades of sky, ranging from dawn to dusk. The moody new bands will go on sale June 1, priced $49 each. They’ll be available both online from Apple, as well as from select Nike retail stores, Apple stores, and various authorized resellers and department stores. Nike’s matching sneakers will hit shelves the same day, priced at $190 a pair. This isn’t the first Apple Watch product that has come out of Nike’s partnership with Apple. Last month, Nike unveiled its new twist on Apple’s iconic wearable, dubbed the Apple Watch NikeLab. While it didn’t add any additional hardware, the stunning “bone on black” band is one of the most stunning fitness bands we’ve yet seen.